Yoga and life drawing are both self-care techniques incorporating relaxation and entertainment through movement. 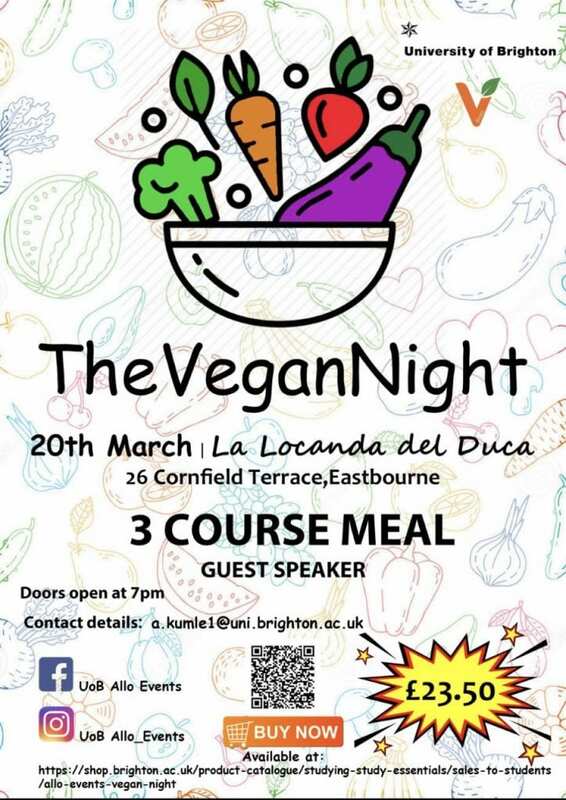 Joining Vines is working in collaboration with Devonshire Collective, a local business which supports local Eastbourne artists and qualified yoga instructor Gracie Da Silva. 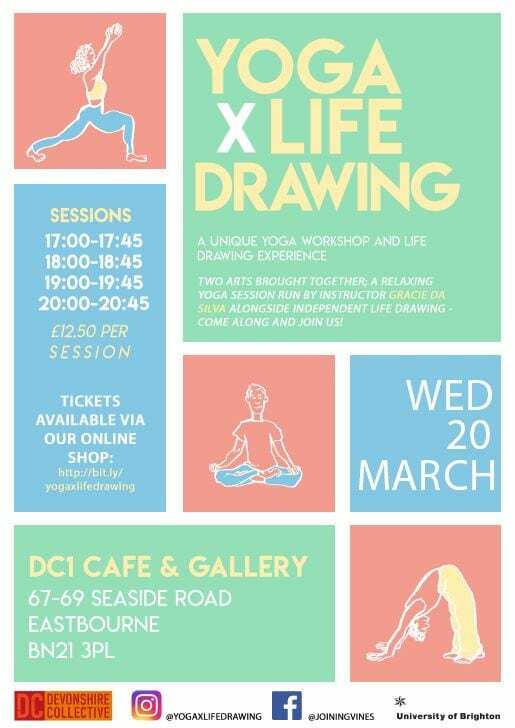 YOGA X LIFE DRAWING gives both guests of all abilities the chance to experience this unique and exclusive workshop, bringing two arts together. Sessions are 45 minutes long and tickets cost £12.50. 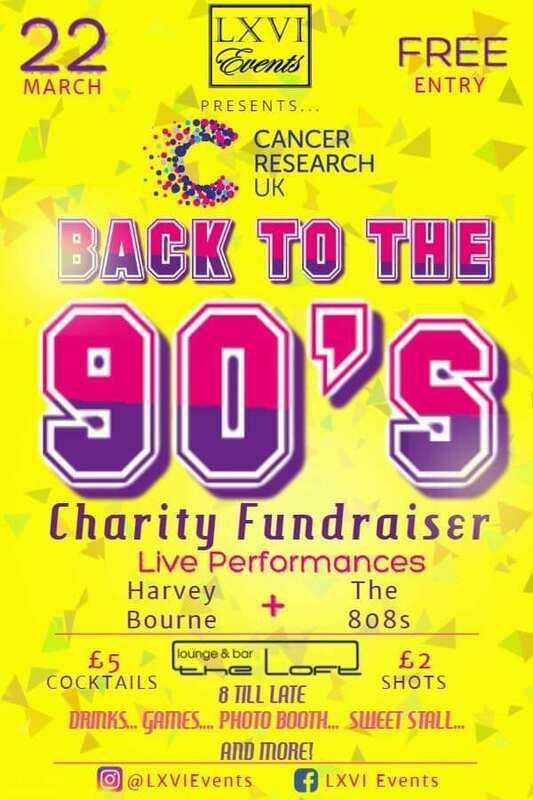 Live performances from Harvey Bourne and The 808s. 90s themed games, photo booth, sweet stalls and much more. 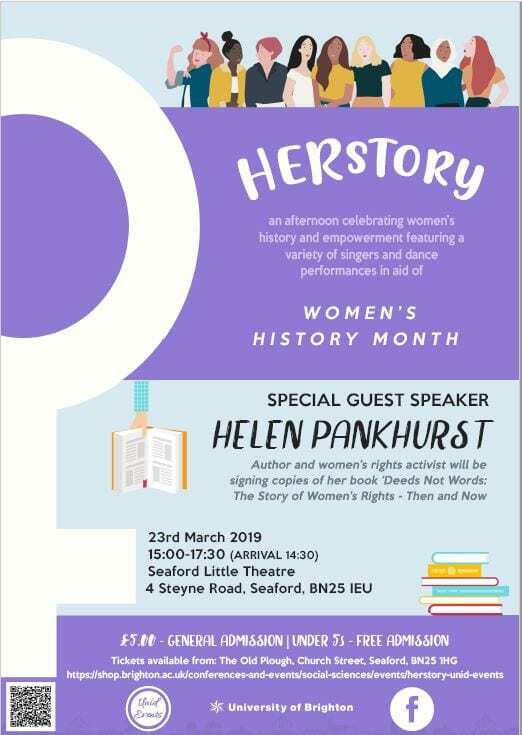 An afternoon celebrating women’s history and empowerment featuring live performances and special guest speaker Helen Pankhurst. This entry was posted in Community, Events, Student success by Kerry Burnett. Bookmark the permalink.